Time certainly does fly when we enjoy what we are doing. I cannot believe it has been three years since this blog was launched. Sincere thanks to all who have supported me over the years in all of my endeavors be it the Acadian & French-Canadian Ancestral Home web site, this blog as well as my other two blogs Lucie's Legacy and Whispers Through The Willows. Deepest gratitude to my family for the all of their support and a shout out to our oldest daughter Rebecca who one day while home from college suggested I start a web site, gave me a few tips on how to do that and I've had an online presence for some fifteen years when I launched my first web site. Another shout out goes to our daughter Sarah for all of her encouragement as well as my husband Tony. Without all of their encouragement and support I probably would have never "dared" to try the Internet..goodness it seemed so overwhelming all those years ago when the best email (and almost only) was with AOL and the best free web sites were with geocities. With time, I became an Internet "grown up" and no longer feared what might go wrong if I did this or that and I then purchased server space with ICDSoft in 2002 as well as a domain name. Without realizing it I guess those of us with early web sites were sort of pioneers - I remember when my web site was only one of perhaps 4 or 5 Acadian sites. I would be remiss if I didn't mention our son-in-law Tyler who has been my computer guru when something went wrong and I couldn't figure it out. He always came to the rescue. I now have two sons-in-law. So I also tap Corey once in a while when I have questions. Since the day I came online I've met cousins I never knew existed and have made some good friends. I love being online. All in all, it is just wonderful to be doings that I love to do at this time in my life. I'll be doing lots of blogging so stay tuned.. admittedly, I take some time off during the summer months but it is September and I am back with lots of discoveries to share. Thank you Brian.. I appreciate the support. Congratulations Lucie. Blogging for three years is a real accomplishment because it takes time and effort to keep it going, topics to think about and lots to learn when the internet world decides to change things. Thank you Barbara.. you've done lots of blogging yourself so you know what it's all about. As we know the Internet is always evolving. Love it! Congrats and Happy Blogiversary, Lucie! I love reading your posts. You're an inspiration to us all! Keep up the awesome work. 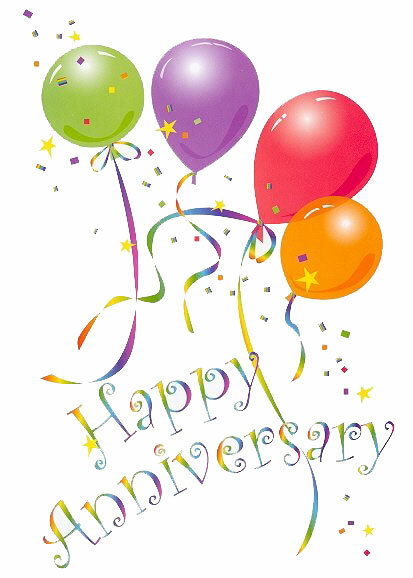 I'm sure we'll be wishing you a happy anniversary for many years to come! Thank you Cheryl.It is always nice to hear from someone who follows our work. 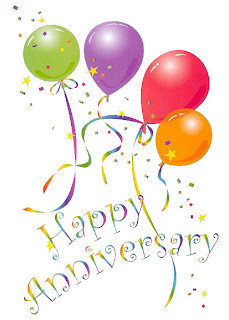 Happy Third blogoversary - looking forward to more years of good reading, and I'm honored to think that I'm in the same "class year" (2008) as you! Thank you Greta!..the honor is mine! Congratulations! So enjoy reading your blog. Looking forward to what the next year brings. Thank you for you kind words Deb! Thanks so much Elizabeth! I appreciate your thoughtfulness.